Another beer from my Craft Beer Cellar mixed 6-pack and I had not heard of this beer before buying it. Hop Blanc is a white IPA which is a style that I just cannot get into. The beer looks quite nice with a deep orange and off white head with big bubbles. Aroma is interesting but not all that pleasant; smelled of spice, grass and soap?? Taste has lots of spice and pepper mixed with some floral hops which did not work well for me. Very little bitterness and a decent mouthfeel help this beer. 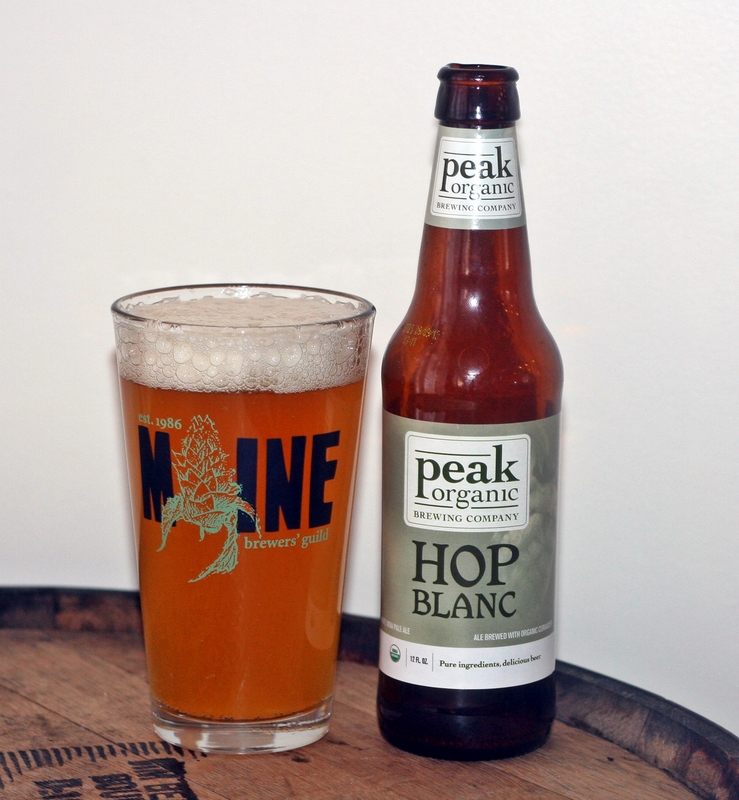 Hop Blanc is a decent white IPA and if you like the style than you would probably enjoy this beer. If your like me drink an Allagash White and follow it up with an IPA and you will be much happier. Brewers Description: Hop Blanc is a heavenly White IPA. Local wheat and Belgian yeast give this beer a soft mouthfeel, while Centennial, Simcoe and Citra hops provide a bright rush of tropical and citrus flavors up front. This beer is the cheery, angelic cousin of the more sinister Hop Noir.